Fix your slow WiFi : The 802.11n routers are most likely to stick around for many more years even though the 801.11c launch has been announced. Unfortunately, the 300 Mbps that the n-standard promises to deliver is not at all close to it and proves to be a massive problem for connections labeled as 50/100 Mbps and more. Wi-Fi congestion problems are common in apartment complexes or high-density neighborhood. There might be some causes of it. A region a may have some radio station towers which shoots an invisible wave of radiation known as “frequency” from the tower to your radio. Just like the radio, Wi-Fi is also an invisible form of radiation. Also, there are multiple kinds of Wi-Fi frequencies used by computers namely 2.4GHz and 5GHz. How to fix your slow WiFi? The problem is that most consumer technologies including Bluetooth and several WiFi technologies use the same 2.4GHz frequency. To add to it, the 2.4GHz possesses a long range which leads to some different Wi-Fi signals trampling over each other. 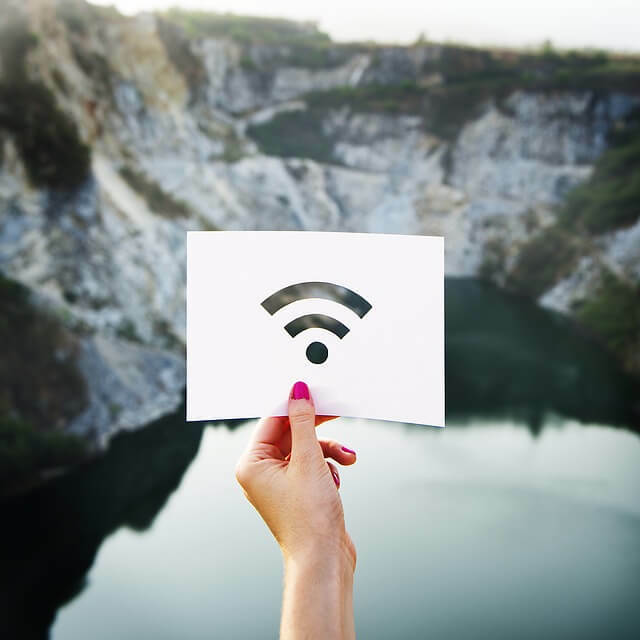 If you are facing problems with your Wi-Fi speeds and do not want to go back to using cabled connection, we have a few tricks and tips that will help you boost weak signals. Most of the routers are set up with their “Power Savings” mode ON by default. This is done to save a few milliwatts. This method does reduce the bandwidth disproportionately. The ‘low’ settings lower the power output of the router but also reduces the bandwidth. If you value bandwidth over minimal power savings, then you can configure your router’s settings. All you have to do is look for entries called “Transmission Power” or various eco modes and turn them off. Also, there are chances that your router sports some “Automatic” transmission setting. Just turn them OFF and enjoy maximum output from your device. There is an excellent chance that the legislation of Physics stands in the way of decent wireless bandwidth and the signal strength. The distance between the router and wireless adapter is a relevant factor. So if you just double the distance between the router and the client, then you can expect the throughput to shrink to one-third of its original value. Setting up a wireless repeater, in this case, will boost your signal strength noticeably. In addition to this, it has been found out that there are some signal killers that stand in the way of the throughput. Water and metal are such two objects that act as signal killers. Water serves as a blockade for almost 2.42GHz signals, so the best thing is to clear all the objects that contain any form of liquids out of the way. Radiators and flower pots are some typical examples. Also, you need to be sure that no metal objects are in the way of the router and clients. Metal furniture, metal boards, etc. must be moved out of placed accordingly. This is because the smooth and shiny surfaces reflect signals and create a drop in the signal strength. A delicate antenna design can also be the primary cause of packet loss or weak throughput. You can overcome this problem by replacing the built-in antenna with something that is much more powerful. The process is a bit tricky but can make the difference between the slow connection and a fast line to your router. Depending on the setup, you can either opt for an omnidirectional antenna or a directional antenna. The omnidirectional antenna will scatter the signals throughout the home or office. A directional antenna, on the other hand, is useful if the devices that are in need of a good throughput are in a same room or place. You can always make use of a Wi-Fi heat-mapping tool to measure the impact of distance, frequency changes and building structures based on the signal strength. There are a couple of tools that work quite perfect namely NetSpot for Mac and Heatmapper for Windows. Using any of these tools will allow you to track Wi-Fi coverage in your office or home building. We are going to provide you and example of how the app works. After you have installed the software, open it and type in a new “Site Survey” name and click “Blank Map.” Also, you can select the floor plan of your office or home building to get the accurate map. We tried out and suggest you select the “Draw Map” feature and begin withdrawing your floor plan. The next step is to define the scale by determining the exact distance between two spots on the map. Now click “Let’s get started” and just walk around the area on the map. Begin with clicking the spot on the floor plan that you are currently standing on. Scan some points to get a more accurate Wi-Fi heatmap. Once you are done, you will get a map that shows you signal strengths on various times and also the throughput of the Wi-Fi network. All these issues depend upon the design of your device and placement of Wi-Fi adapter. If the symptoms sound familiar to you, then you can always solve the problem by connecting an external adapter. Some of the adapters even come with a little stand and a connecting USB cable. So maintaining the distance between the Wi-Fi adapter and CPU noise will more likely help you out. Always keep this in mind that the day your router is set up, it automatically detects the least crowded channel and makes it as the default channel. But there are chances that with the arrival of new neighbors or offices in nearby place, a single channel may be used by some routers while the other channels remain deserted. The InSSIDer will be of help to you. This tool analyzes your Wi-Fi spectrum and provides you with details regarding the home network as well as channel usage. You can always look for your channel and jump to an unused one to improve the latency and throughput noticeably. The 2.4GHz frequency is always crowded because of many neighbors using the same frequency along with small monitors, cordless phones, microwave ovens and much more. The modern 802.11n routers offer “dual band”, which means that they send two network signals. One of them is at 2.4GHz and the other one is at 5GHz which is far less crowded and offers many more channels. Many device makers these days decide to save on Wi-Fi chips and go only with the 2.4Ghz receivers. So you can do the smart work by activating both the networks and connect the mobile devices to 2.4GHz network and save the 5GHz network for laptops and desktops. Many a times, you cannot choose to have the 5GHz frequency band or selecting a rather less used channel. In such cases, you can limit your router to send out signals at intervals of 20MHz. All it will do is reducing the overall throughput a bit but on the other hand give you a stronger signal with fewer dropouts.